May 9, 2006-The day I started this blog. May 9, 2009- The day the reason I started this blog ended. Holy Cow. I can never get over what a doll Moosh is. I had a good friend whose husband went to law school. 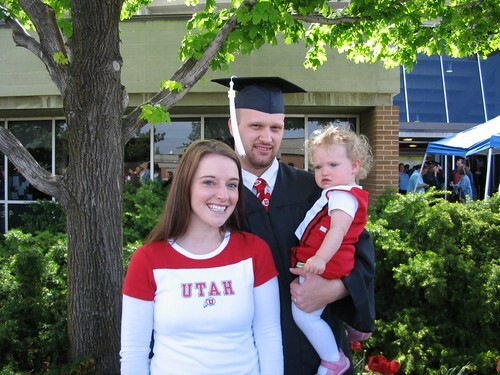 He graduated, passed the CA bar and then announced that he didn’t want to be a lawyer. law school made him even more handsome! Today’s your three-year blogiversary? Congratulations! Oh yeah, and that whole law school thing, too. PS. You look just as pretty in the last photo as you do in the first one. Avitables last blog post..Today is like Jesus’s birthday but more important, see? Congrats! I love the family picture, the SMILE is priceless! haha i love it! congrats u guys. 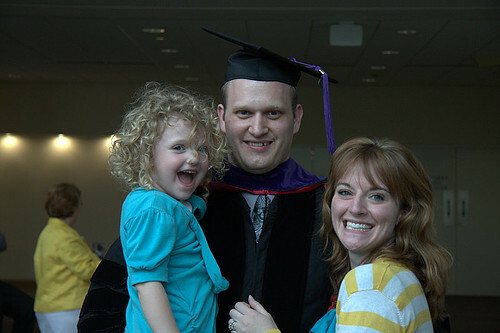 my husband was as happy as u when i finished law school. Congrats to ALL of you!!! YAY for making it through! you all look so EXCITED…congrats!!! staciesmadnesss last blog post..On the run…. your daughters hair is as curly and pretty as my daughters hair. congratulations on graduating law school! what an awesome accomplishment! as we say in my religion…mazel tov. l’chiam. But where do you go from here? Back to Utah or stay in Indiana? How freakin’ cute is the Baby Moosh?!? Congratulations on ALL y’all’s hard work! Moosh is totally squishy in the first entry and still absolutely adorable! Congratulations!! I know how excited you must be. Photo #2 has sheer joy. A great photo; it made me smile and think the world is such a great place! Congratulations! We’ve only got a year left. Hope we’ll look as happy as you do! Kathys last blog post..What’s a girl to do? HOORAY! That is exciting! You all look so happy. Casey! Congratulations!! That’s so fantastically fantastic. Happy for all of you! now let the earnings & the living together commence…. Beautifully and totally awesome. Way to go! I am so excited and happy for you all. All I can say is finally a blog post where I don’t cry. Awesome!!! You are the first couple I know to have survived all of law school still together.